The Hwi Yoh Group was named after the famous Dragon Kiln operated by the Chua family that was once located at Jalan Hwi Yoh. The kiln was demolished but the group has continued to flourish at it's current premise in Jalan Kelulut in Yio Chu Kang. Ceramix is a group exhibition where exhibiting potters come from a mixture of backgrounds. Although each exhibitor differ in occupations, styles and interests, expertise and experience, it is this very diversity which has produced such variety of work. Since 1995, the Hwi Yoh Group have organised 5 exhibitions. The Hwi Yoh Group will be organising their 6th exhibition this coming October 2011, Ceramix 2011 - Simply Clay 随陶, at the National Library. 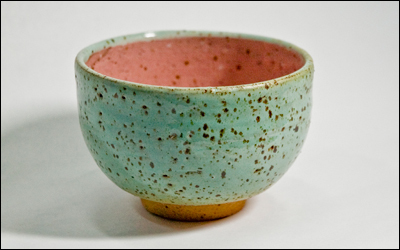 Started pottery as his profession since the age of 15, Soo Kim is a family-trained potter of great skill with passion. At this young age, he trained and worked in Glaze Research Department at Sam Mui Kuang Pottery, the Dragon Kiln which was also known as Hwi Yoh. Soo Kim joined Studio 106 to become member in 1986 which was headed by Sculptor Ng Eng Teng. In 1990, he was invited to be a part-time lecturer at Nanyang Academy of Fine Arts, followed by National Institute of Education of Nanyang Technological University in 1991. The potter became one of the Ceramic Committee member and Tutor at Centre for the Arts at Centre for the Arts in National University of Singapore in 1999. Soo Kim has been actively participative in exhibitions, both Solo and Group, throughout the years since 1987, and showcases his unique works in public exposures. He started pottery classes in Sam Mui Kuang Pottery in 1986 and also teaches in many schools for the years, and in 1994, he formed the Hwi Yoh Ceramic Group which he heads till date. Soo Khim is a family-trained potter at Sam Mui Kuang Pottery since 1963. He has 32 years of experience at the Dragon Kiln (1963-1994) under the production department specialising in wheel throwing and mould making. He has since moved on and started doing glaze research and has conducted lessons since 1995. Having participated in various exhibitions and public demonstration, his art works have been widely received and supported by Ministry of Foreign Affair, Singapore National Museum, National Parks Board, National Art Council and art lovers here and abroad. Lynn grew up in a family of potters. Since young under the influence of her mother, Patsy Chua, she grew fond of clay and often played clay at the old Dragon Kiln (Hwi Yoh). As an active person, she enjoys exploring different options in life. As such, she chose Information Technology for her tertiary education and has obtained a degree in Queensland University of Technology, Australia. During her 2-week graduation tour in Japan, she was exposed to a brand new world of Ceramics that is totally different from home. 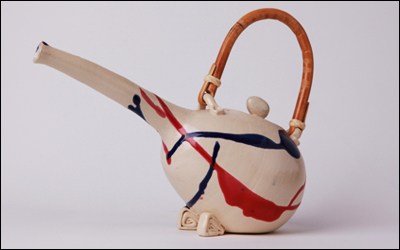 The rich culture in Japan inspired her to carry on with ceramics. Since then, she has been working hard in the studio. She is currently exploring techniques in the creation of teapots as well as a small-mouth gourd. Ceramix 2011 will be her debut exhibition. Brenda Ho was born in Hong Kong and migrated to Singapore in 1997. She is a potter since 1994 and practice under Mr. Lee Tze Leung at HK Arts Centre. She continuous her learning from Mr.Chua Soo Khim from 1999. Brenda is a Teddy Bear Artist, she combine with her bear and pottery. However, you can see she creates some lovely Bears to her works. Tze Wei has been inclined to the world of Art & Design. Graduated from Visual Communication in Nanyang Polytechnic in 2010, she started out as a Graphics Designer but hopes to do something in which she can express herself better, and had found the answer in pottery, with her father Chua Soo Kim as her greatest inspiration. Tze Wei is now exploring techniques of underglazing onto different forms. "There's more to learn and find out, it's like a mystery!" She is honoured to participate in Ceramix 2011 as her debut exhibition. Her first brief encounter with pottery was in her secondary school days. But she went on to focus on Chinese Painting subsequently and only re-connected with clay in recent years. Since then, Chinese painting and pottery have complemented each other and blended fittingly into her lifestyle. She have participated in various exhibitions, some of them eg. Ngee Ann 3D Art Exhibition (2005-2009), Cone 6 & Beyond Ceramix (2008) and Kampong Glam Ceramic Exhibition. 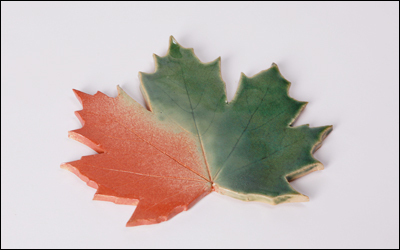 In pottery, the most interesting moment is each time when she opens the kiln door to reveal her fired clay pieces. It's always a great suspense for she doesn’t know if the fired effects will turn out to be happiness or disappointment for her. Nevertheless, the opportunity to witness her clay work being transformed into a ceramic art piece is truly the greatest attraction for her. Moreover, pottery is a wonderful and fulfilling activity for a wholesome lifestyle. 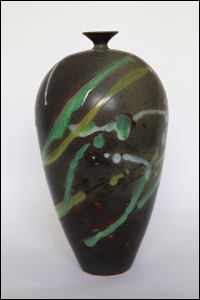 Ken Lu started his ceramic passion at age 9 while studying at Rosyth School. In 2000 (at age 10), he was presented a silver award for the Singapore Youth Festival for a tea-pot he made. Under the tutorage of the Chua siblings (Ms Patsy Chua, Chua Soo Kim and Chua Soo Khim) of Sam Mui Kuang Pottery, Ken spent his years doing wheel-throwing, coiling, glazing and firing and talking about ceramics at the pottery studio whenever time permits. He is currently pursuing a degree course on Arts and Design at Jingdezhen University, China. A first-timer at the exhibition, he hopes to share his works and passion with others. He is grateful to his teachers/mentors/seniors for showing him the various techniques and skills on how to make and appreciate a good piece of artwork. 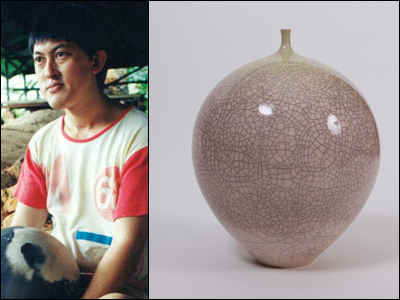 Joel Tan learnt pottery in evening classes at the Changi Community Centre, Nanyang Academy of Fine Art and La Salle College of the Arts whilst he was working. After his retirement he went on to the Australian National University (ANU) School of Art to continue learning ceramics for 4 years. He won the Emerging Artist Support Scheme Award given by ANU. In 2005 together with 3 other Australian award winners he held an exhibition of his 'wine-warmers' at the Watson Arts Centre in Canberra. His ceramic pots were displayed for sale at Skepsi Gallery, Melbourne and Walkers Ceramics in Canberra. A couple of his work are in ANU's School of Art. A simple lump of clay releases the creativity and uniqueness of the potter. The end resulted give great joy and satisfactions. 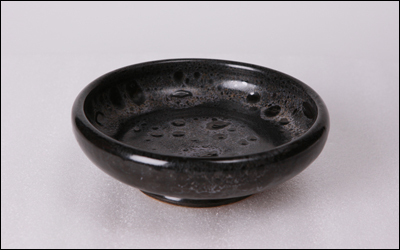 Chong is a hobby potter for more than 10 years and this is his third time participating in an exhibition. 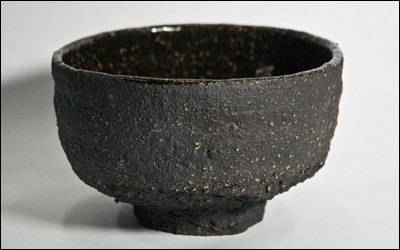 Kelly have an enduring interest in tea bowls or chawan because even though the form is simple, they can be reinterpreted and expressed in so many different ways. She hope that the creation of this series of bright and happy tea bowls would inspire the celebration of daily life and its little wonders, as well as to remind us to slow down and take time to just enjoy a good cup of tea. As a graphic designer, clay is a wonderful medium to integrate and express his passion for both graphic and fine art. The simple forms combined with bold, contrasting black and white colours of his works this year hint at a subtle sense of tension - they reflect the constant pondering and sometimes intense questionings that he have about life and its meaning. 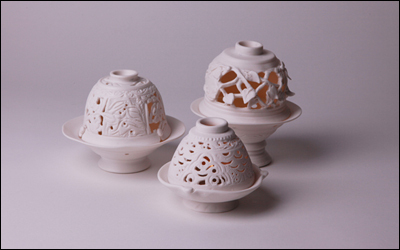 Khoo started pottery classes in 2001 with Mr Chua Soo Kim at the Centre for the Arts, National University of Singapore. Since then, he has been doing pottery under the guidance of Mr Chua and his brother Mr Chua Soo Khim and has since become a member of Sam Mui Kuang Pottery. In 2004, he was introduced to Mr Andrew Chua who practises hand-built form. He was greatly fascinated and inspired and with some pointers from Andrew, he began his journey into hand-built form. He had not looked back since. Kanni's journey with clay began by sheer chance when she shared her interest to a friend. She has not looked back since then and have enjoyed the therapeutic experience. She enjoys working with clay because of its malleable nature and its ability to excite her with the hues and shades when it reacts to the colours and the temperature. Geok Chye started to learn coiling in the Year 2003 from Kampong Glam Community Club(KGCC) in the Elementary and Intermediate Course during his leisure. Subsequently, learning to do throwing and became a member of the Kampong Glam Ceramic Club. To enhance his skills in the throwing, he went to learn from Mr. Chua of Sam Mui Kuang Pottery in the Year 2009.